Don't forget that your environment also plays an important role. Here are some simple actions you can take in and around your home to help reduce your family's risk of cancer. Clothing - shirts, hats and pants - and sunscreen can help protect your skin from the sun's ultraviolet rays. These precautions are especially important when the sun is high in the sky and most intense. EWG's sunscreen guide can help you find safe, effective products. When you tackle a home improvement project, use products made without volatile organic compounds such as low-VOC paints and keep work areas well ventilated. Avoid laminates and other composite wood products that contain formaldehyde. Air pollution from fireplaces and wood-burning stoves can also be a serious issue. Choose clean-burning stoves or inserts and make sure they are properly ventilated, with no leaks in the chimney or exhaust pipes. Finally, you shouldn't ever smoke, but certainly don't do it in your home. Solutions of soap or vinegar in water can be simple and effective cleaners. 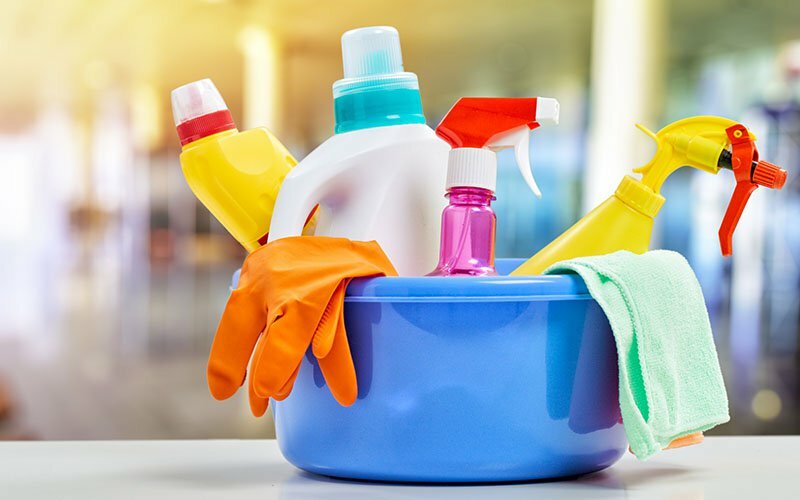 EWG's cleaners guide can help identify less toxic products on the market. Today's non-stick cookware is much improved, but it doesn't last forever. Scratched or worn cookware can release toxic chemicals into your food and air, as can pre-heating non-stick cookware at high temperatures. Don't heat food or drinks in plastic containers; they can leach chemicals into your food. And be aware that charring meat, especially red meat, can produce cancer-causing chemicals known as heterocyclic amines. The ingredients in personal-care products are largely unregulated and can contain known carcinogens such as formaldehyde and endocrinedisrupting chemicals such as phthalates and parabens. EWG's Skin Deep® can help you find products without these problematic chemicals. Estrogen-promoting medications, including hormone replacement therapy and oral contraceptives, have been linked to small increases in the risk of breast cancer. You should carefully consider the risks and benefits with your doctor.